Thanks to innovation in dental care, placing dental implants has never been safer or more efficient. With modern advances in treatment planning, Dr. Singh and our Walnut Creek dental team now offer computer-guided dental implant surgery for patients looking for a new, reliable way to replace missing teeth. Guided implant surgery is a cutting-edge technology that utilizes Cone Beam imaging to determine the most strategic placement of the implant in the jawbone. This technique leads to fully restored dental function and a more natural overall appearance. Our Walnut Creek practice favors the innovation of computer-guided dental implant surgery over traditional methods. Dr. Singh has found the outcome of computer-guided implant placement to be a more predictable and less invasive procedure. By using this incredibly efficient technology, patients who receive a dental implant through guided surgery often experience a quicker recovery. During the initial consultation with Dr. Singh, 3D images of the patient’s mouth are taken with Cone Beam digital imaging. These images provide Dr. Singh with a highly-detailed view of the interior of the jaw bone, as well as the surrounding tissue and nerves. The images are then processed through software, which creates a surgical guide for planning out the entire implant placement procedure. This guide is incredibly precise; during the procedure, the instrument Dr. Singh uses will stop working before allowing any bone or gingiva not included in the planned surgery space to be disturbed. The end result is an exceptional surgical procedure that is completed smoothly, resulting in the best possible placement of dental implants. Not only does guided implant surgery simplify the process of getting a dental implant, but it decreases the invasiveness of the procedure and improves overall patient satisfaction. Is Guided Implant Surgery for Everyone? Occasionally, there are cases where guided implant surgery is not an option. In these cases, Dr. Singh discusses alternatives for dental implant placement and / or alternative missing teeth solutions. Our patient’s overall well-being is always at the forefront of our decision making. Together, we will come up with a restoration plan that will be the most effective for you. At Shadelands Dental of Walnut Creek, our implant dentist helps correct cosmetic and functional concerns regarding missing teeth. Let our dental professionals tailor a unique restoration treatment plan for you. To find out if you’re a candidate for guided dental implant surgery in Walnut Creek, contact us today. 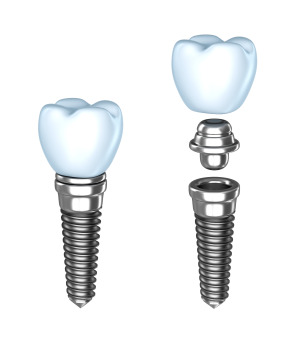 Getting perfectly fitted dental implants may be one of the better decisions you will ever make.